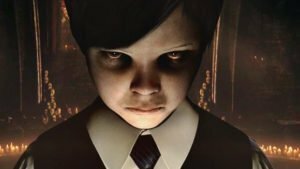 Is a psychological horror stealth video game developed by Shiver Games and published by Lace Mamba Global for Microsoft Windows. It is centered on the six-year-old boy Lucius, who is the son of Lucifer. Players take control of Lucius as he murders members of his household, using powers of telekinesis and mind control to orchestrate deadly accidents that lead to the deaths of multiple residents of Dante Manor. Players use their wits and follow hints to ensure they do not leave any evidence that would lead to a mission failing. A sequel, Lucius II: The Prophecy, was announced on August 8, 2014, and was released on February 2015. 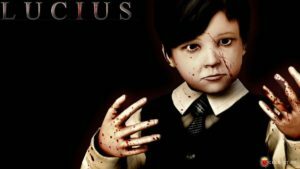 In Lucius, the player takes form of a six-year-old boy gifted with supernatural powers akin to the Antichrist, reminiscent of Damien Thornfrom The Omen. When Lucius was born on the date of June 6th, 1966, nobody expected him to be anything other than a normal little boy. His childhood, spent in the luxurious manor on the private estate of his father, a U.S. Senator, was as normal as every kid's young years, excluding the extreme wealth of his parents. 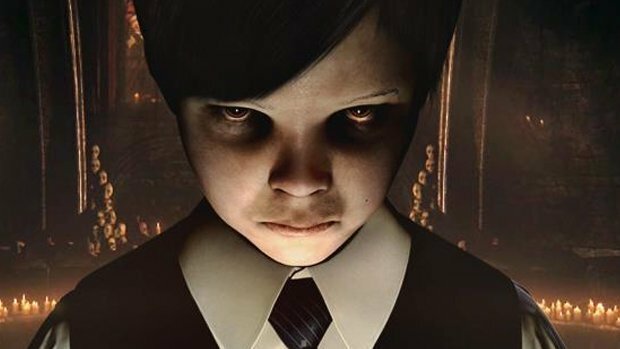 The night Lucius turns six, the Devil appears in his mind as a man in a suit and identifies himself as Lucius' "real" father. The Devil tasks his son with aiding the powers of evil in killing all members of the manor (it's about a "debt" the entire family has to pay to the Devil, because of all the deaths in a secret satanic place in the house). Lucius kicks off this global takeover by first murdering every member of his household, including staff, in order to obtain his father's vast fortune and make use of the political power associated with his name. The more people he kills, the more powerful Lucius will become. During the course of the game, the story reveals that Lucius's grandfather was part of a cult that promised him power and he was the reason why his family had money of which his sons were unaware. He helps Lucius with his destiny; however, Lucius kills him when he is no longer needed. A detective begins investigating the deaths. any idea on how to actually win the giveaway? 23 hours to go I wonder who’ll win. Hoping to see DoW win even one of these.